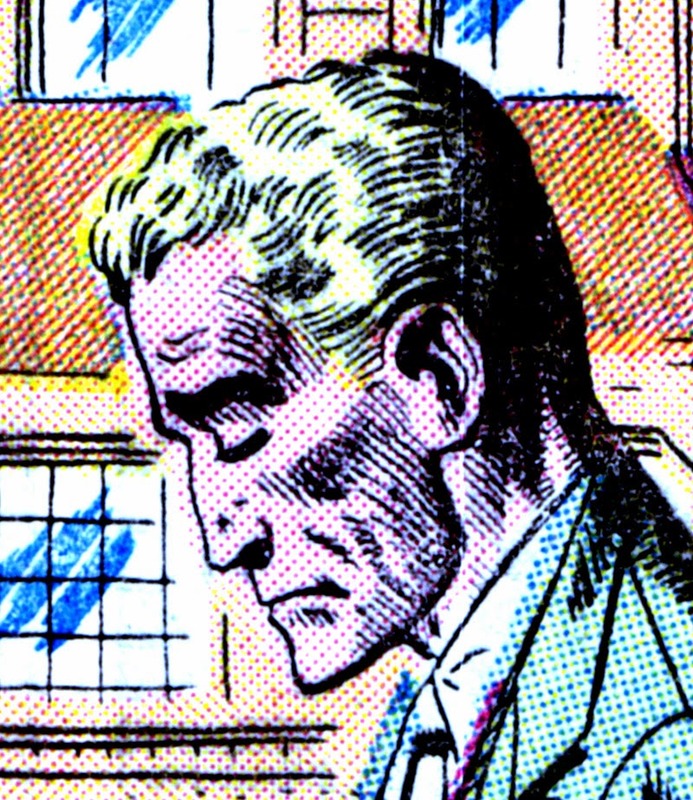 STRANGE SUSPENSE STORIES #47  ends with the 5-page Ditko story "His Brother's Keeper". It features Peter Marsden, a once-renowned but now reclusive scientist, who once pursued a theory that ancestral memories were stored in the unused portions of the brain. We then flashback to the tragic story when he and his brother George went to Egypt to research the work of an ancient sorcerer which might validate his theory. Let's just say that they do, but immediate human tests on experimental drugs are never a good idea. Odd little story, parts of it are really overwritten in scientific gobbledygook, but the ending is surprisingly subtle, letting the art tell the ending in a silent final panel. Ditko's art is excellent, this is one of his more detailed jobs from the era, with some really fine shading. As usual Ditko does a good job on the Egyptian imagery, and the ending gives him a chance to draw some more historical scenes, and he does a good job with that silent ending. This story has never been reprinted. The cover of this issue, as was the norm for Charlton at the time, is composed of interior artwork re-purposed for the cover, in this case a collage of images from the last two pages of this story.